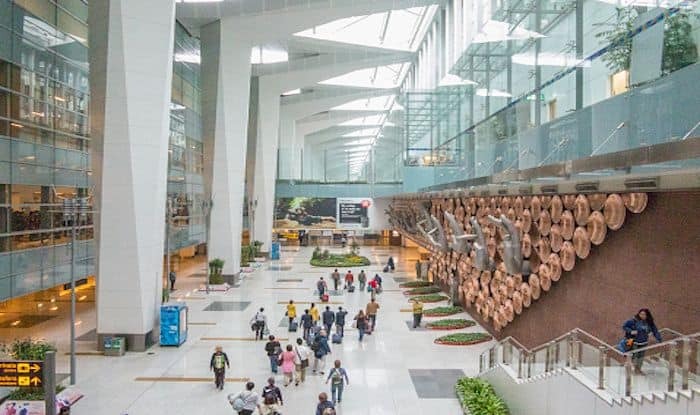 The security at Indira Gandhi International Airport (IGIA) in national capital has been increased. As per Zee News, a high alert has been sounded in whole of north India. The move comes in the wake of the escalating tension between India and Pakistan. Meanwhile, the operation of flights to and from eleven airports, including Leh, Jammu, Srinagar, Pathankot, Chandigarh, Amritsar and Dharamshala, have been suspended. Briefing about the development, an official of the Airports Authority of India in Srinagar, reportedly said, “The civilian air traffic has been suspended temporarily in view of the emergency”. The official, however, did not specify the nature of the emergency. Earlier in the day, the Indian Air Force (IAF) shot down a Pakistani F-16 jet that reportedly violated Indian air space in Nowshera sector of Jammu and Kashmir. The Pakistan Air Force’s jet was shot down in retaliatory firing by India 3 km within Pakistan territory in Lam Valley. At least three Pakistani jets violated the Indian air space on Wednesday and entered border areas Jammu and Kashmir’s Poonch and Nowshera sectors but were pushed back by Indian aircraft. According to reports, the Pakistani jets dropped bombs near security establishments. There were no immediate reports of any casualties or damage. The incident came a day after 12 Mirage 2000 aircraft of the Indian Air Force struck Jaish-e-Mohammed’s biggest terror camp at Balakot in Khyber Pakhtunkhwa province of Pakistan, in response to Pulwama terror attack on February 14 in which 40 Central Reserve Police Force (CRPF) jawans were killed in Jammu and Kashmir.